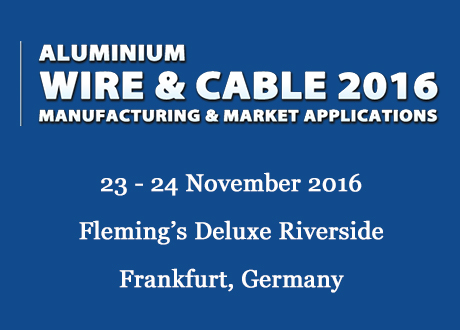 On November 23-24, Sampsistemi Engineer Enrico Conte presents: “SAMP solutions for the aluminum wire and cable manufacturing” at the Aluminum Wire & Cable Conference 2016 in Frankfurt. The Aluminum Wire & Cable conference and exhibition will assemble aluminum suppliers, wire and cable manufacturers and a multitude of end users will meet in Frankfurt to explore aluminum-based wire cable solution. For further information about our presence to the Aluminum Wire and Cable Conference or to be better advised on Sampsistemi solutions, please don’t hesitate to contact us!